Register for BOTH races at the same time for only $40! Includes 2 MEDALS, 2 T-SHIRTS and 2 GREAT TIMES with your family and friends. That's a $5.00 discount off of each race, and you pay only 1 processing fee! ** New this year ** If you want to join with your family and friends but don't want to do the distance, come out and walk a mile in historic and scenic Aberdeen. This is an untimed 'Fun Run"
*** Registration update - The last day to register AND guarantee a shirt with your choice of size Thursday, 10/18/18. Registration will remain open! and we do our best to ensure that everyone receives a shirt but we can't guarantee sizes for those who register after 10/18/18. Thank you! 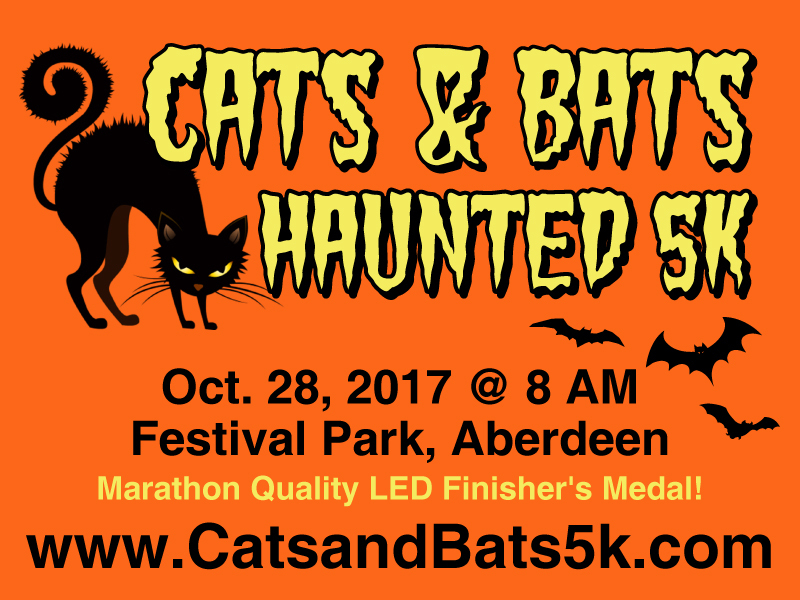 Join us on October 27, 2018 for the 4th Annual Cats & Bats 5K Race! 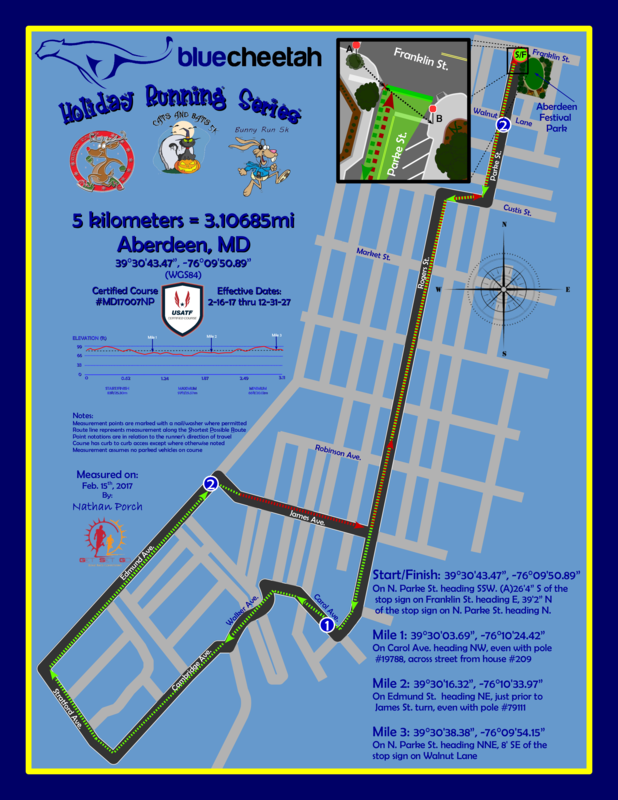 The second race in our Holiday Running Series! 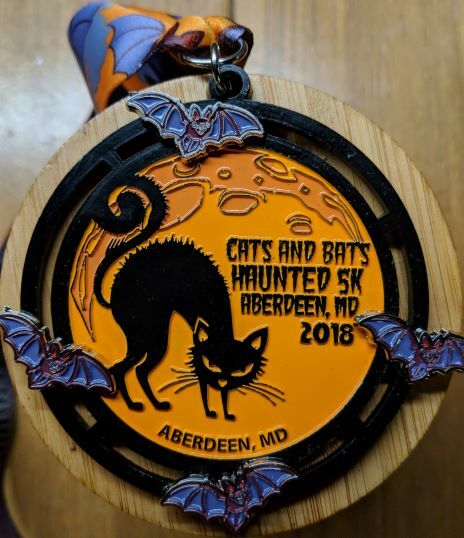 JOIN US FOR OUR 4th ANNUAL CATS AND BATS 5K -- Once again IN ABERDEEN, MARYLAND! the 1 Mile is an untimed 'Fun Run"
Come out and join us for a family-friendly 5K Run or 1 Mile Fun Run on Saturday, October 27th, 2018. The race starts and finishes at Aberdeen Festival Park, North Parke St. in Aberdeen. Still only $25.00 for 5K participants and $20.00 for 1 Mile Fun Run. CUSTOM finisher's medal for all 5K participants, Custom Event Shirt, and Commemorative Race Bib. 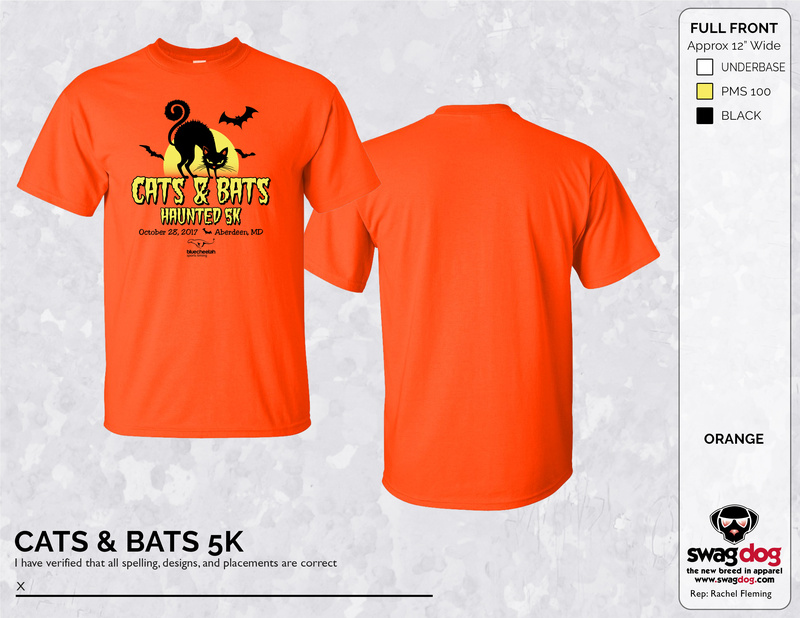 Join us for the 4th Annual Cats & Bats 5K Race! The second race in our Holiday Running Series! 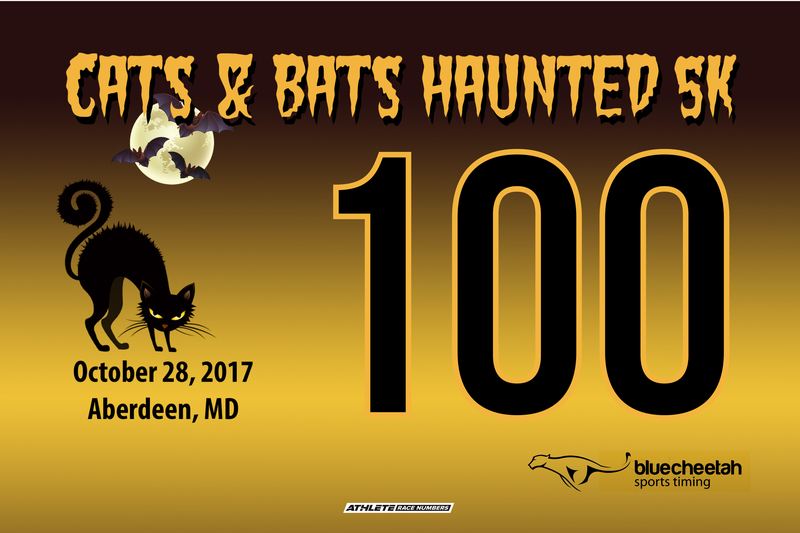 JOIN US FOR OUR 4th ANNUAL CATS AND BATS 5K -- NOW IN ABERDEEN, MARYLAND! Come out and join us for a family-friendly 5k on Saturday, October 27th, 2018. The race starts and finishes at Aberdeen Festival Park, North Parke St. in Aberdeen. For the safety of all participants, you must complete the course in 1 hour so that the roads may be reopened to traffic. NEW THIS YEAR! SIGN UP NOW FOR BOTH OF OUR FALL/WINTER HOLIDAY RACES AND RECEIVE $5 OFF THE REGISTRATION FOR EACH RACE! 2 RACES, 2MEDALS, 2 SHIRTS FOR ONLY $40! (You must register for both races at once to receive this discount -- save $5/each race and only pay 1 processing fee). This course is beautiful, flat and fast! What better way to welcome the arrival of Autumn? All portion of the proceeds of this race support The National PTSD Foundation, which is helping America's first responders recover from trauma and addiction while assisting them in leading successful and productive lives. This event is RAIN OR SHINE! No refunds will be given. See the course map in our photo gallery!